Expedia has some amazing Filandia package deals Bundling your bookings is a surefire way to save cash and time — and get your adventure off on the right foot. Smart travelers can gain savings of up to C$590* by getting a combined package deal on Expedia. Pick from more than 400 partner airlines and 321,000 worldwide properties via our comprehensive database of lodgings and flights. Fly with who you want, stay where you like — now that's the ideal vacation! You never have to worry about altering your vacation plans, as we don't charge additional cancellation fees for almost all of our bookings. We have all the latest sightseeing tips for your trip to Filandia. Grab your planner and prepare to start working on that itinerary. Think of yourself as an art lover? Take the time to marvel at intriguing works and try to make out the story behind them at Museum of Art. There's a fabulous range of things to keep you busy nearby. Used for public worship and personal prayer, Pereira Cathedral is a revered holy landmark. That said, you don't have to be a devout church-goer to explore this calming space. Still got time to spare? Connect with the fun-loving kid in you with a wild and wonderful day out at National Coffee Park! Fun, food and rides aplenty — buckle up for a good time! Sadly, you won't find many accommodations to select from in Filandia. The El Vergel Casa Campestre (Kilómetro 6 via Armenia-Pereira) is the only Expedia-listed property close by. Go through security, amble onboard, take your seat and settle in for the flight! Your well-earned trip to Filandia is only a plane ride away. After the wheels touch the ground at Matecana International Airport (PEI), you will be around 11 miles (18 km) from all the action of the main streets. 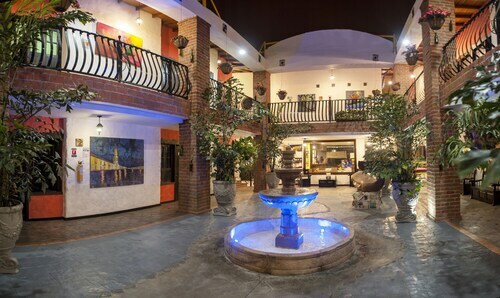 Situated in Filandia, this hotel is 10.5 mi (16.9 km) from Otún Quimbaya Flora and Fauna Sanctuary and 12.4 mi (20 km) from Main Square. Coffee Park and Parque Los Arrieros are also within 16 mi (25 km). Situated in Filandia, this farm stay is 9.1 mi (14.7 km) from Otún Quimbaya Flora and Fauna Sanctuary and 12.3 mi (19.7 km) from Parque Los Arrieros. Panaca and Main Square are also within 16 mi (25 km). 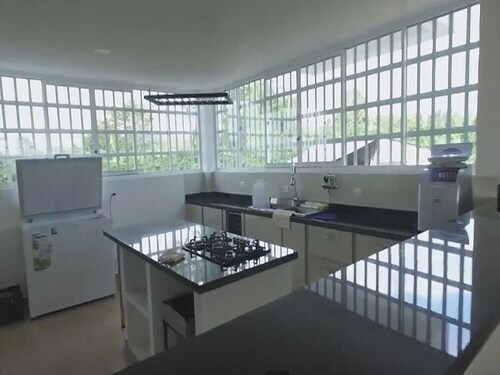 Situated in Filandia, this vacation home is 7.7 mi (12.4 km) from Otún Quimbaya Flora and Fauna Sanctuary and 12.3 mi (19.9 km) from Main Square. Cocora Valley and Parque Los Arrieros are also within 16 mi (25 km). 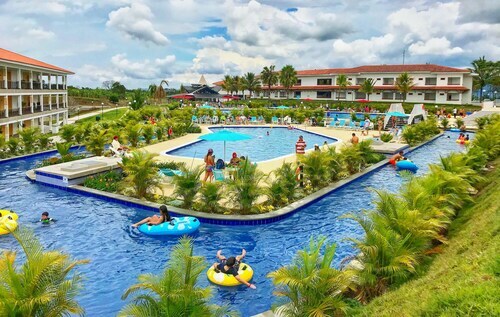 Located in the center of Pereira, this family-friendly hotel is within a 10-minute walk of Lucy Tejada Cultural Center, Boliz, and Victoria Shopping Mall. Olaya Herrera Park and Pereira Gold Museum are also within 10 minutes. Transportation Terminal Station is 14 minutes by foot. 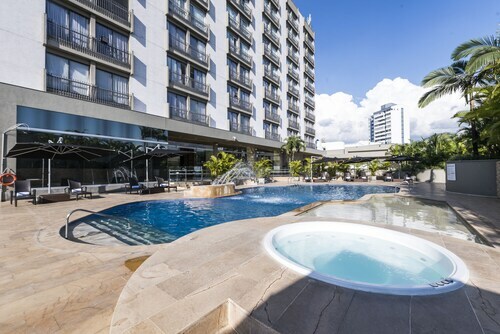 Situated in Pereira, this spa hotel is 1 mi (1.6 km) from Ukumari Zoo and 2.8 mi (4.5 km) from Pereira Golf Club. Plaza de Bolivar and Mariposario Bonita Farm are also within 9 mi (15 km). 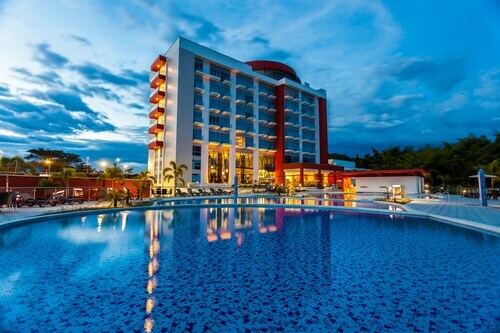 Set in Montenegro, this family-friendly resort is within 9 mi (15 km) of Parque Los Arrieros, Plaza de Bolivar, and Centenario Stadium. Armenia Country Club and Coffee Park are also within 16 mi (25 km). 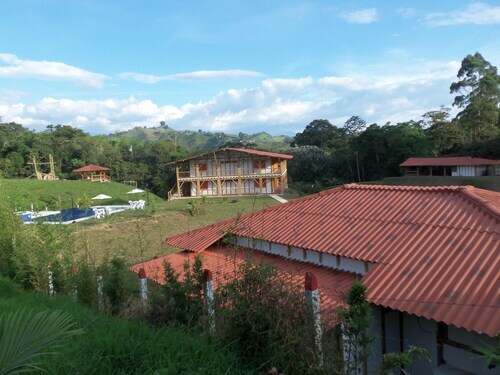 Situated in Salento, this hotel is within 1 mi (2 km) of Main Square and Cocora Valley. Parque De La Vida and Metropolitan Cultural Convention Centre of Quindío are also within 20 mi (32 km). Situated in Salento, this bed & breakfast is 0.4 mi (0.7 km) from Main Square and 18.4 mi (29.6 km) from Otún Quimbaya Flora and Fauna Sanctuary. Sun., 21 Jul. - Thu., 25 Jul.